There are many circumstances in which you might be required to officially translate a document, whether for personal or business use, and in some of those cases your document might not be available in an editable digital format (Word, PDF), and you may only have the paper or scanned version of it. If you happen to be in such situation, you might find that there aren’t many translation programs, companies or agencies which offer a professional and certified translation of scanned documents. 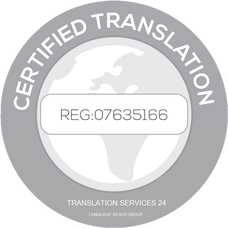 You’ll be happy to read however, that Translation Services 24 are indeed able to translate a scanned version of your document and officially certify it, so that it is legally recognised by bodies such as the Home Office or Courts of Law. In fact, if you only have the paper version of your documents and are not able to scan it, we can now work with a simple, clear picture of your document instead, thanks to our newest, state-of-the art translation software. Translating your scanned documents could not be easier with us. Simply email your documents to info@translationservices24.com and we will get back to you with an official quote within 30 minutes. 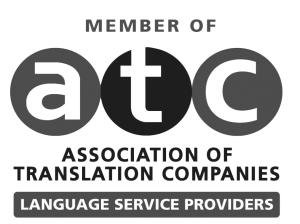 Alternatively, use one of the contact forms on our website or call +44 (0) 20 8677 3775 if you wish to discuss your translation in more detail.